Pennsylvanians will now be able to celebrate New Year's Eve (or any holiday) with a bang! courtesy of new state fireworks laws. Previously, the only legal fireworks in PA were of the small sparkler type. That included poppers and snakes. 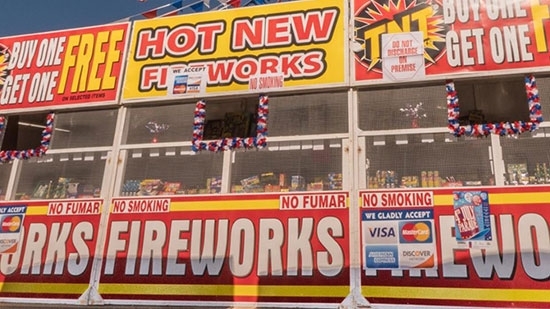 Thanks to a law signed by Governor Tom Wolf back in October as part of the budget, Pennsylvania residents are now able to purchase and light up any Consumer grade firework out there. That means bottle rockets, fire crackers, multi-shot repeaters, roman candles and mortars. You'll still need a professional license for the big Display type shells you see during Fourth of July. There is a 12% tax on the fireworks. If you have ever stopped into a fireworks store in the area, one that is close to the border with New Jersey or Delaware, there were all the aisles that PA residents weren't allowed down. You can now get all the good stuff. The basic rules include: be 18+, stay 150ft away from an occupied building, and you must not be under the influence. Read the bill here. Pennsylvania Health Department officials say that more than 10,000 patients have signed up for the state's inaugural medical marijuana program starting in 2018. "Patients are starting to receive their medical marijuana identification cards. We have approved nearly 250 physicians," said Acting Health Secretary and Physician General Dr. Rachel Levine. She also says another 250 are close to being approved. Dispensaries are expected to be open in May 2018. A Drexel University associate professor who is best known for several controversial tweets he sent out over the past year or so has announced that he will no longer be working at the school come next week. George Ciccariello-Maher was a professor of politics and global studies. He cited harassment, death threats, and threats of violence by right wing media, white supremecists, and internet mobs as reasons for leaving.